Tour of Britain officials rule Edvald Boasson Hagen engaged in an illegal sprint to the finish. Local road cycling team Dimension Data lost out on a stage win on Monday, in a controversial finish on stage two of the Tour of Britain. 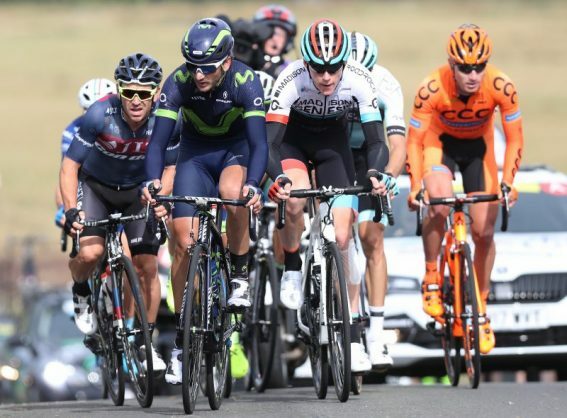 Led out by Australian teammate Mark Renshaw, Norwegian sprinter Edvald Boasson Hagen was first across the line for the South African outfit on the 211km leg from Kielder Water to Blyth. Following a review of the finish, however, Boasson Hagen was penalised for irregular sprinting and relegated to the back of the peloton after cutting across the path of Italian opponent Elia Viviani (Team Sky) who was credited with the stage victory. “I know that I closed in Viviani but it wasn’t on purpose,” Boasson Hagen said. “I was just sprinting for the line with my head down and when I looked up, I was too close on the left side with Viviani on my inside. Boasson Hagen, a former World Championships silver medallist who had narrowly missed out on a stage win on Sunday’s opening leg, slipped to third place in the general classification at the European Tour race. He was seven seconds off the pace of Viviani, who took the overall lead with six stages remaining.